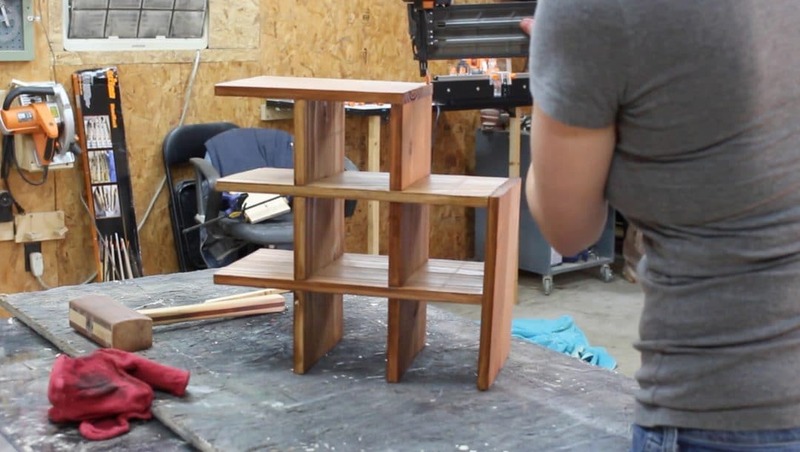 The holiday’s are upon us and I was wanting to build a few easy and fun Christmas presents for neighbors, some close friends, and also a white elephant gift exchange. So I decided to make a mixture of some fruit and veggie trays, which if you missed the post, I already showed you already how to make them HERE. 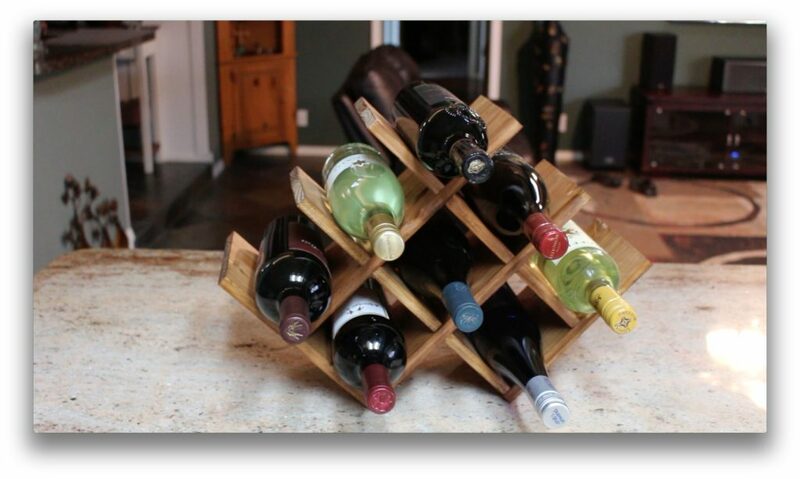 Another thing that I wanted to make was a wine rack holder that can sit on a countertop. I figured these are a pretty universal gift that pretty much any family should be able to get some use out of. If you are looking for some quick and easy DIY Christmas presents, then I definitely recommend both of these. Here is a video showing the build process. I do have a free set of plans available if you would like to make your own. For material you can use any 1x wood that you want. If you need to purchase material for this project, then you can go to the store and purchase a 1×8 pine board; however, I wanted to use material that I already had so I decided to use 2x4s. Since I’m using 2x4s, I first had to resaw them which means I’m going to be turning the 2x4s on their end and running them through my table saw to cut them in half. This is a pretty dangerous process so I don’t recommend doing this if you’re a beginner. Also, regardless of how new or not you are, I definitely recommend having a good, stable push stick if you’re going to attempt to do any resawing. Before resawing, I ran the 2x4s through the table saw to cut off the rounded edges that come on 2x4s. The reason I do this is to make the glue up process later on easier. Then I resawed each length in half. Next, I cut all of my pieces to length. I’m using my table saw to cut these to length. Now is the glue up. I wanted my board 6 1/2″ wide so I am taking two pieces and gluing them up together. In the clamps, in the photo below, I have three boards utilizing the same clamps but they are only glued up in pairs. Let the glue set for about an hour or until it’s dry. Once the glue is dry, take them out of the clamps and run them through a thickness planer to remove the excess glue. 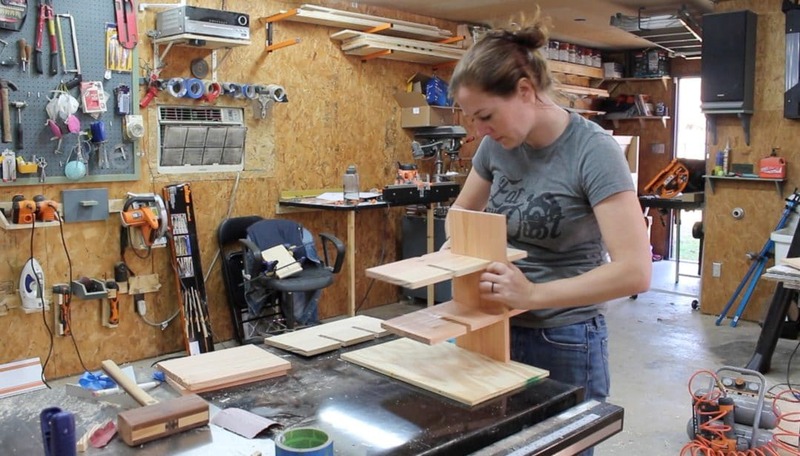 If you don’t have a thickness planer then use a ROS sander or a palm sander. Now you can make your marks on where the slit cuts need to be. I did this by using a speed square. Since all of the boards are identical to one other, I taped all four boards together so I could cut them with one pass. I cut them out using my band saw; however, if you do not have a band saw you can use a router or you can use a jig saw. If you do use a band saw, using the fence is very helpful here. Also you want these to have a snug fit so don’t take off too much material with the first pass. These pieces now break away very easily and you can actually use the band saw to clean up the ends; however, i decided to break off the majority and use a chisel to finish up the cut. 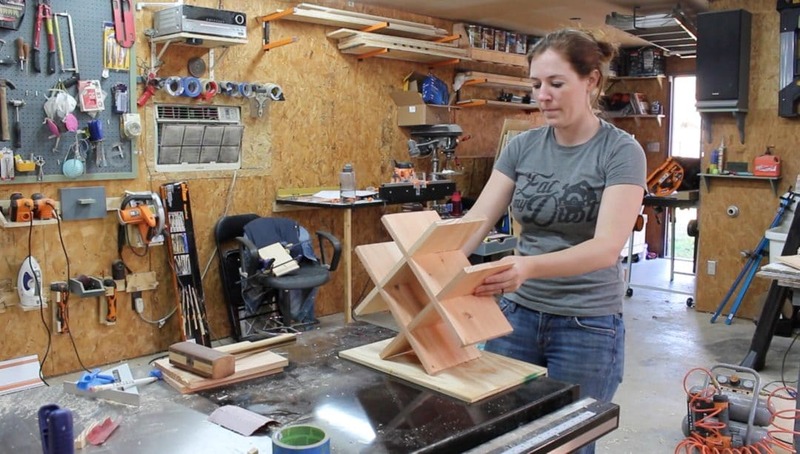 You can use one of the end pieces as a test fit to make sure that the slots are cut wide enough. If the board doesn’t slip in all the way, then just take it back to the band saw or jig saw and widen the slit just slightly. You do want these to be a snug fit though. 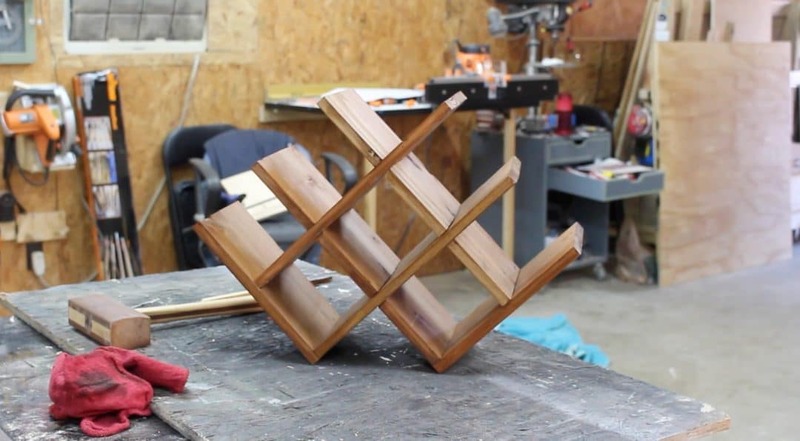 Now you can start slipping the boards together in a crisscross pattern. Use the photos below for a reference. Everything fit really well so I disassembled it and threw on a quick coat of stain before moving forward. Note: Since I’m using pine and it’s known to be really splotchy when staining, I use a pre-stain wood conditioner first. I’m using Early American as the stain on this one. Once all the pieces were dry I grabbed the end pieces and used my nail gun to attach them. And that’s it! Now I have a wine rack that will hold 8 bottles of wine and since I used material I already had laying around, it cost me $0! I just need to make a few more now. I hope everybody has a very Merry Christmas!